This anonymous interview is with an Academic librarian who has been a hiring manager and a member of a hiring or search committee. This librarian works at a library with 100-200 staff members in an Urban area in the Southern US. I try to dress up. 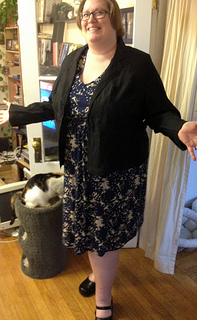 Filed under 100-200 staff members, Academic, Southern US, Urban area, What Should Candidates Wear?